Having been abandoned on the steps of an orphanage as an infant, lovable car thief and Dublin charmer Mahony assumed all his life that his mother had simply given him up. 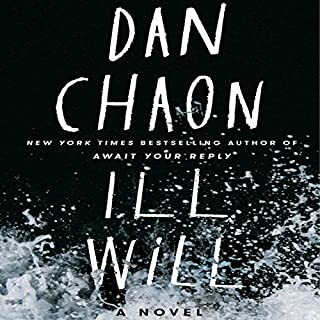 But when he receives an anonymous note suggesting that foul play may have led to his mother's disappearance, he sees only one option: to return to the rural Irish village where he was born and find out what really happened 26 years ago. Erin Blake has one of those names. A name that, like Natalee Holloway or Elizabeth Smart, is inextricably linked to a grisly crime. As a toddler, Erin survived for three days alongside the corpse of her murdered mother, and the case - which remains unsolved - fascinated a nation. 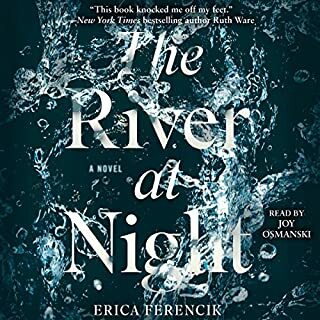 Her father's identity unknown, Erin was taken in by her mother's best friend and has become a relatively normal teen in spite of the looming questions about her past. 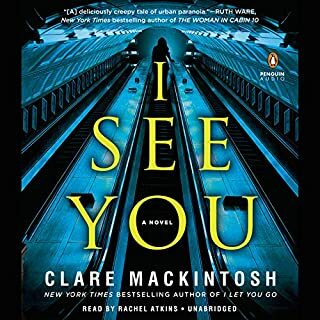 Every morning and evening, Zoe Walker takes the same route to the train station, waits at a certain place on the platform, finds her favorite spot in the car, never suspecting that someone is watching her. It all starts with a classified ad. During her commute home one night, while glancing through her local paper, Zoe sees her own face staring back at her - a grainy photo along with a phone number and a listing for a website called FindTheOne.com. After her mother's suicide, 15-year-old Lane Roanoke came to live with her grandparents and fireball cousin, Allegra, on their vast estate in rural Kansas. Lane knew little of her mother's mysterious family, but she quickly embraced life as one of the rich and beautiful Roanoke girls. But when she discovered the dark truth at the heart of the family, she ran...fast and far away. Eleven years later Lane is adrift in Los Angeles when her grandfather calls to tell her Allegra has gone missing. Did she run, too? Or something worse? High in his attic bedroom, 12-year-old David mourns the loss of his mother. He is angry and he is alone, with only the books on his shelf for company.But those books have begun to whisper to him in the darkness, and as he takes refuge in the myths and fairytales so beloved of his dead mother, he finds that the real world and the fantasy world have begun to meld. The Crooked Man has come, with his mocking smile and his enigmatic words: "Welcome, your majesty. All hail the new king." Lianna Ahlberg is 17 when a thunderstorm snaps a power line to the earth, electrifying the ground, the rain spreading the current like wildfire across the wet grass. Two horses are killed in the nearby field, unnerving the neighbors, upsetting the peculiar boy who has just moved in, and filling Lianna with a deep and abiding sense of dread. This is not the first unusual thing to happen that summer - a summer when Lianna's mother begins to sleepwalk in the smallest hours of morning - and it will not be the last. In 1986, Eddie and his friend are just kids on the verge of adolescence. They spend their days biking around their sleepy little English village and looking for any taste of excitement they can get. The chalk men are their secret code; little chalk stick figures they leave for each other as messages only they can understand. But then a mysterious chalk man leads them right to a dismembered body, and nothing will ever be the same. Everyone who lives at 23 Beulah Grove has a secret. If they didn't, they wouldn't be renting rooms in a dodgy old building for cash - no credit check, no lease. It's the kind of place you end up when you you've run out of other options.The six residents mostly keep to themselves, but one unbearably hot summer night, a terrible accident pushes them into an uneasy alliance. What they don't know is that one of them is a killer. He's already chosen his next victim, and he'll do anything to protect his secret. Reeling from a traumatic break-in, Emma wants a new place to live. But none of the apartments she sees are affordable or feel safe. Until One Folgate Street. The house is an architectural masterpiece: a minimalist design of pale stone, plate glass, and soaring ceilings. But there are rules. The enigmatic architect who designed the house retains full control: no books, no throw pillows, no photos or clutter or personal effects of any kind. The space is intended to transform its occupant - and it does. It has been almost 10 years since Matthias graduated from the elite Blackburne School, where his roommate and best friend, Fritz, fled into the woods, never to be heard from again, in the middle of their senior year. Fritz vanished just after an argument over Matthias' breaking of the school's honor code, and Matthias has long been haunted by the idea that his betrayal led to his friend's disappearance. When he is offered the opportunity to return to Blackburne as an English teacher, he sees it as a chance to put his life back together. 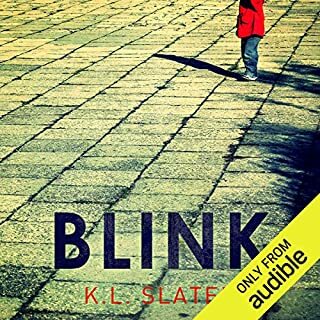 One of the finest books I've heard on Audible! When you're all that stands between the murderous past and the fate of those you love, how far would you go to save them? 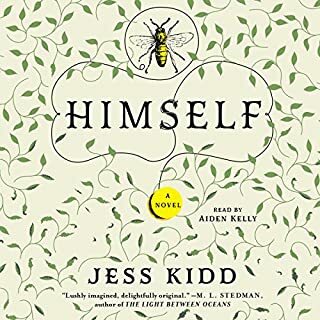 When Audrey Kepler inherits an abandoned homestead in rural Queensland, she jumps at the chance to escape her loveless existence in the city and make a fresh start. In a dusty back room of the old house, she discovers the crumbling photo of a handsome World War II medic - Samuel Riordan, the homestead's former occupant - and soon finds herself becoming obsessed with him. "I have been acquainted with the smell of death." So begins Clytemnestra's tale of her own life in ancient Mycenae, the legendary Greek city from which her husband, King Agamemnon, left when he set sail with his army for Troy. Clytemnestra rules Mycenae now, along with her new lover, Aegisthus, and together they plot the bloody murder of Agamemnon on the day of his return after nine years at war. An elegant thriller in the vein of Night Film and Crooked Letter, Crooked Letter, this tautly crafted novel is about stories: the ones we tell, the ones we keep hidden, and the ones that we'll do anything to ensure they stay buried. When literary agent Peter Katz receives a partial book submission entitled The Book of Mirrors, he is intrigued by its promise and original voice. The author, Richard Flynn, has written a memoir about his time as an English student at Princeton in the late 1980s, documenting his relationship with the protégée of the famous Professor Joseph Wieder. One night just before Christmas 1987, Wieder was brutally murdered in his home. The case was never solved. Now, 25 years later, Katz suspects that Richard Flynn is either using his book to confess to the murder or to finally reveal who committed the violent crime. But the manuscript ends abruptly - and its author is dying in the hospital with the missing pages nowhere to be found. Hell-bent on getting to the bottom of the story, Katz hires investigative journalist John Keller to research the murder and reconstruct the events for a true crime version of the memoir. Keller tracks down several of the mysterious key players, including retired police detective Roy Freeman, one of the original investigators assigned to the murder case, but he has just been diagnosed with early onset Alzheimer's. Inspired by John Keller's investigation, he decides to try and solve the case once and for all, before he starts losing control of his mind. A trip to the Potosi Correctional Centre in Missouri, several interviews, and some ingenious police work finally lead him to a truth that has been buried for over two decades...or has it? 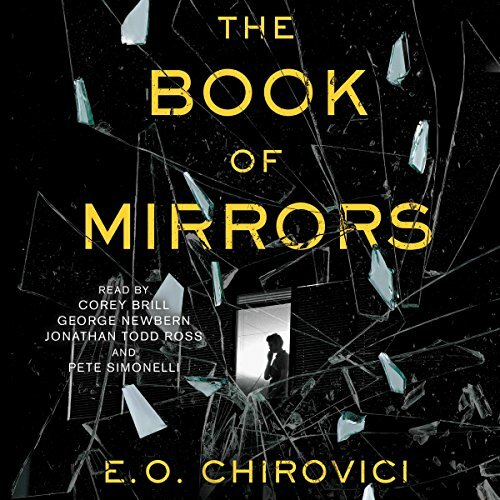 Stylishly plotted, elegantly written, and packed with thrilling suspense until the final moments, The Book of Mirrors is a book within a book like you've never encountered before. ©2017 RightsFactory SRL. All rights reserved. (P)2017 Simon & Schuster, Inc. All rights reserved. After trying a couple clunkers I really needed something to keep my attention and give me a sense of spending time and credits for value. This book was a gamble, just released and no reviews yet. I finished it in one day. Very satisfying. This editor's pick way over-promised on this one. I kept listening, hoping to *finally* get to the "thrilling" plot, which never materialized. The book hinted at psychological games and manipulation, but those didn't materialize, either. This book was all exposition and no tension, and that was just the beginning of my irritation. In this book, you will know everybody's college major. Why do we need to know an elderly lady's caregiver majored in anthropology? Good God, we don't! Side plots were pointless, too. The book had notes of sexism, where a female was dismissed as the suspect in a murder my a grizzled detective because the guy was bludgeoned to death and lady murderers usually use poison. I mean, what? We do? How? Where do we get poison? Then there was a racist moment where an African-American man (who we know is African-American because he spoke in partial dialect) furrowed his brow and looked like a "confused monkey." Ugh, you guys. Normally I would just move on and find something else to read, but editor's picks are usually pretty good. I was waiting for a Kaiser Soze moment to warrant the attention from people who like to read. It didn't happen. If you're wondering if this will be worth your struggle through the flat characters and unnecessary words, the answer is no. This mystery just left me cold. 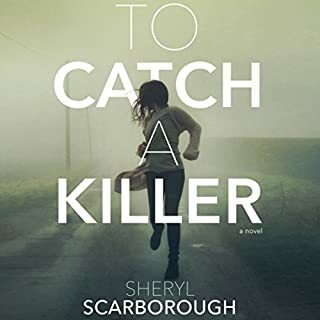 The writing style is detached and often stilted, sometimes reading more like a middling true crime accounting than a novel. None of the characters truly engaged me, and the handful of narrators (failed writer making a last attempt at a manuscript outlining a decades old murder, prospective publisher who wants to know more, freelance journalist hired to find out more, and retired police officer who failed to catch the murderer in the first place) all felt a bit aloof, with little real drive or depth. The most interesting aspect of the book is the theme of memory and how it plays into figuring out what happened, but this theme was not fully developed or thoughtfully explained. In the end, I can't say I recommend the book - though mostly resolved, Chirovici adds an epilogue that seems purpose built to throw a bit of doubt where none was necessarily needed and ends up feeling contrived. I leave this book disappointed, especially after quite a few positive reviews led me to expect more. Didn't want this book to end. Totally lost track of time listening to the story. Just when I thought I had it figured out, it threw me another curve ball. The ending could have had a twist. Some plot points seemed to hang. Disappointing ending. I think the author got tired of writing. Narrator was adequate and easy to listen to. Do you think The Book of Mirrors needs a follow-up book? Why or why not? Doesn't need a follow up because the story ended without any build up to another "chapter". I liked the premise of a story within a story. It was an ambitious goal! I appreciated the minimal foul language very much. The story was compelling up until the last chapters. But when I was expecting a twist, it just ended. Most disappointing. This is a good whodunit. I was certainly carried along, wanted to know what would happen. However, it's hard to feel connected to or care about the characters, who are all somewhat dry. The concepts were good, but as other reviewers tend to indicate, not fully developed. The ending lacks a true punch to it. On the whole, an enjoyable listen. I am very sorry I got this one. I don't say that often. But the 'mystery' was neither deep nor was it interesting. Never got beyond the most surface of any character and even then you were left not knowing if you had been given a real picture of that person. Ended up not caring if ANY of the characters came out ok in the end. Narration did not help. Seemed very forced even with the change in voices. I don't do this for a living so I know it is much harder than it seems but I would say this one could have been helped immensely with more editing from beginning to end. There is promise here but the author needs to work on developing the themes and the characters more! I was expecting much more. I should have known because I usually don’t like first person narrative. I couldn’t even finish it. First, the way this story is broken down, made me feel - at the end- like I missed a major part. Second...I thought "whodunits" we about detecting "whodunnit". I'm either really good at being a detective is this was very easy to solve. Third... I feel like the real mystery was never solved. Is there a another book for that? Reader performances were very dry. I hate when I feel a book was a waste of time and money. It was difficult for me to put it down. I knew I had to finish right away.